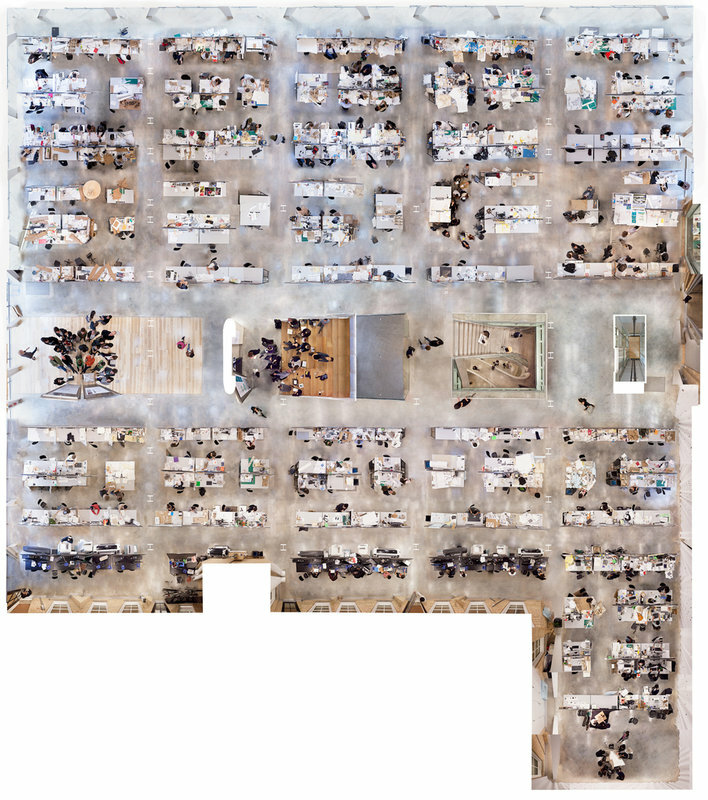 The Decorated Shed: The Architecture of the Knowledge Economy | whitespace.
. Published on August 18, 2014 . Concepts such as teamwork, flexibility, reconfiguration, collaboration, interaction, innovation, _ _ _ _ tion, etc. have come to dominate the planning of work and educational environments over the last few decades. These concepts are essential to the productivity of the knowledge economy that over the last couple of decades has come to dominate the economy of the United States and other First World Countries. These concepts rely on work practices defined not by rigid uses, but hybrid activities that are constantly changing. They suggest images of flows, reconfiguration, networks and nested complexity. Surprisingly however, architects have generally adopted the same approach to deal with the demands of these dynamic concepts. Space is liberated from the heaviness of architecture and made into a pleasant free-space where presumably anything could happen at any time. This approach privileges possibility over the production of architectural effect or atmosphere. The image of the (1) Decorated Shed comes to mind to describe this condition. Inside, a (2) Scaleless Floorplate provides a neutral barrier-free setting for uninterrupted expansion and repetition in any direction. (3) Furniture, Not Architecture is used as the main strategy to create space and organize boundaries. Furniture contributes to the temporary event quality of the space while also presumably being able to be discarded and replaced if demand change. Under pressure for flexibility, the architecture privileges (4) Uniformity over Contrast. Instead of creating variation, everything is regulated to a singular ideal soothing temperature, noise and light levels. (5) Architecture as Image: Free from all other obligations, architecture is reduced to the articulation of façade effects to create image and reinforce brand. The knowledge economy in the United States has roots in two locations that each present interesting typological foundations for the Decorated Shed. On one end are the generic suburban office parks of Silicon Valley where many early technology firms such as IBM and the firms of the Stanford Research Park took office space. In New York City, technology firms of the early 1990’s took space in old abandoned loft spaces. In both cases, the architecture was a disposable container for the experimentation performed within its wall. 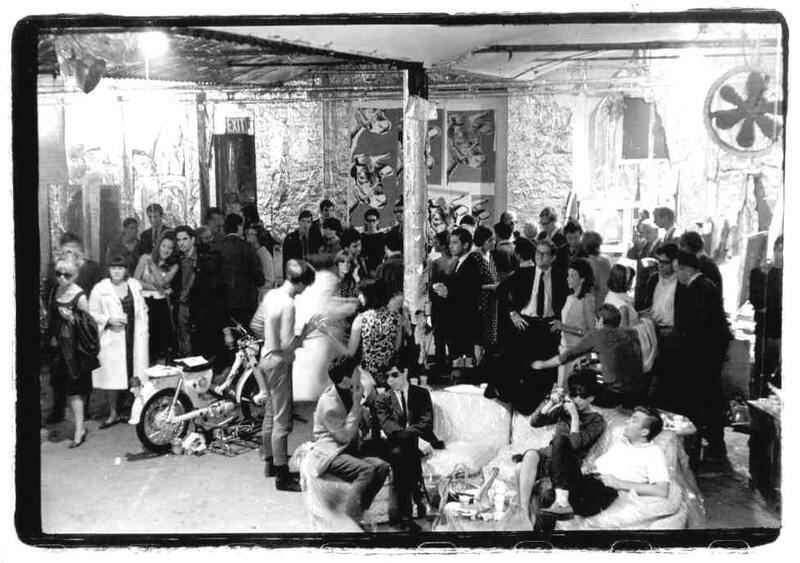 With lineage to artists’ studios, loft spaces also helped to align these organizations with the rebel images of people like Andy Warhol and Jackson Pollock. I would like to highlight two interesting essays that present a fascinating background on the underlying foundation for this language. There is an interesting precedent that was born at a time when this knowledge based economy began to dominate Western countries. 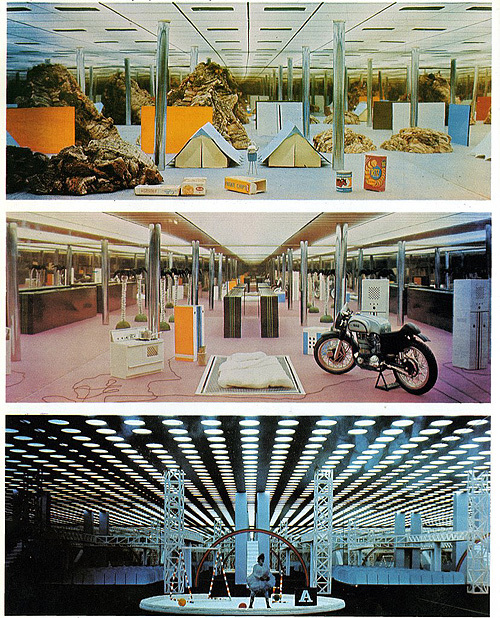 In ‘Programming After Program,’ Archizoom’s No-Stop City, Kazys Varnelis describes the 1960’s Italian firm’s No-Stop City project which theorized that late capitalism has no use for the traditional physical space and instead replaces it with a blank, limitless field allowing for the individual’s full expression. Varnelis traces the evolution of these ideas in The Stimulus Progression: Muzak where the banality of the generic office building causes the individual to lose subjectivity and retreat to the comfort of the background condition. These are initial traces and attempts to articulate an alternative architectural approach to the Decorated Shed. Will architecture continue to build more space while at the same time trying to find ways to minimize its presence? If not, what active role can it play in the spaces of the knowledge economy? Sennett, Richard. ‘The Corrosion of Character.’ Norton Paperbacks, 1998. Koolhaas, Rem and Bruce Mau. ‘S,M,L,XL.’ Monacelli Press, 1995. Varnelis, Kazys and Robert Sumrell. Blue Monday. Stories of Absurd Realities and Natural Philosophies. Actar, 2007. Varnelis, Kazys. ‘Programming After Program. Archizoom’s No-Stop City.’ Praxis 2006: 82-91.